Have you ever wondered if the world is truly borderless? With the spirit of sportsmanship and technology, races are definitely without borders. Virtual running and races connect like-minded people regardless of location, level of fitness or time. What’s important is having the same goals and motivation. When you join a virtual race, you get to run, swim, cycle or walk anywhere, at your own pace, in a team or solo, within a specific time or period, depending on the type of virtual race you sign up for. There are many types of virtual races – charity, for specific causes, challenges, group challenge and many more. More and more virtual races have charity element to them, making participation more rewarding! You won’t miss the races, because they give you more time flexibility. You get to finish your race within a longer period of time or at times that suits your schedule. Usually virtual races are offered for at least a few days or even months to achieve certain mileages or goals. This gives you more time to plan, achieve fitness goals and finish your run! After all, you can race ANYWHERE as long as it is safe. You can be apart of any virtual races. You need not travel, pick up race kits and spend time to be a part of something you like. Join virtual race of your choice and get finishers reward delivered to you virtually or physically. Your friends and teammates can be anywhere and be a part of your journey or be supporters. You get to make new friends without borders. According to BiiB, their Run To Give Virtual Race had 100% finishing rate for all the runners who formed a team to run. 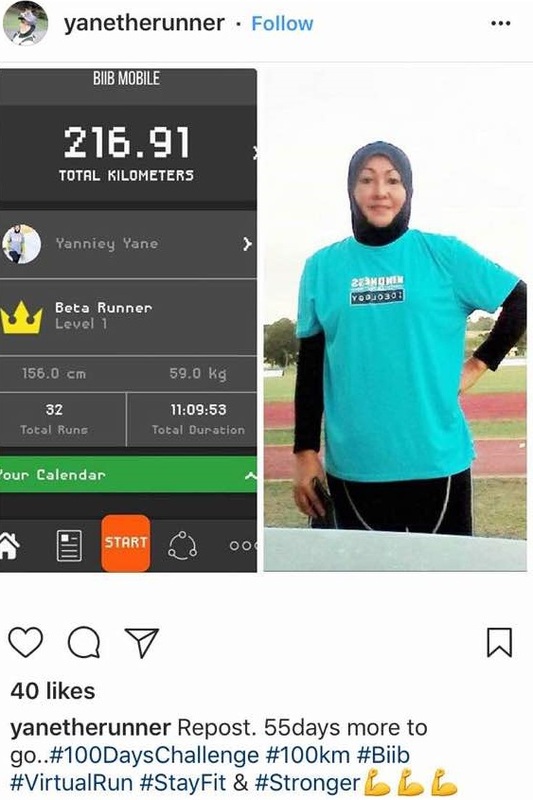 In fact, in Feb – April 2017, through Nashata Virtual Run for Charity, four #NashataRunners and twelve other running sisters from different parts of the world ran virtually a combined mileage of 1,941 km and raised more than RM4,000 for three charity groups in Brunei, South Africa and Singapore. We got to make new friends and support a cause of a runner. Virtual races are backed by technologies that give you several types of privacy choices without impeding goals. You can compete with yourself or support a charity of your choice better at virtual runs. If you are shy, virtual race is a good option for you. Virtual races give you better privacy control – you can choose to celebrate with those concerned or publicly and Be The Achiever! It instills the motivation to continuously run, bike or swim as a habit. What are you waiting for? Race Without Borders, Start Plan and Sign Up your Virtual Race! Want to get motivated for the whole year? Check out what Run 365 has to offer for you.